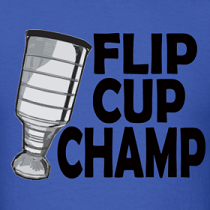 Dirty Dangle Hockey: Did The Sedin's Switch Jerseys? Did The Sedin's Switch Jerseys? Yes. 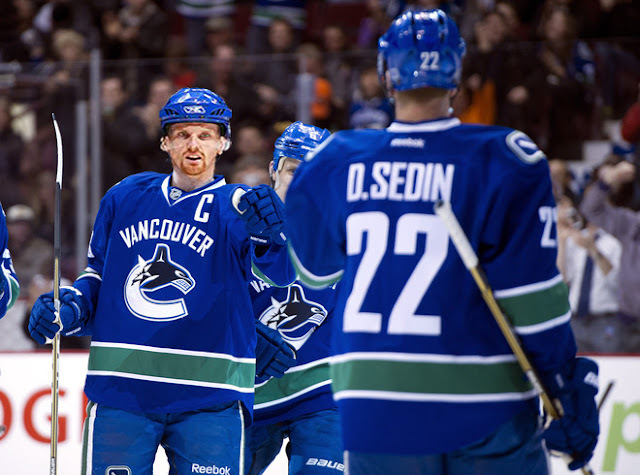 This is a Sedin photoshop... or is it? When you think of the Sedin twins you probably think of redheads with telepathic abilities. No? Just us? Well often when think of them as players it's easy to differentiate the two as when you think of Daniel, you think of the goal scorer; and when you think of Henrik, you think of the playmaker. With almost identical career point totals (Daniel has 675; Henrik 688), Daniel has 91 more goals than brother Hank in 23 fewer games. When the Sedin's make the highlight reels with their Jedi-like passing tricks, it's usually Daniel on the receiving end of a Henrik no-look-behind-the-back-through-the-legs-pass. So how come this year Daniel has more assists (18) than Henrik (15), and Henrik (7) has more goals than Daniel (6)? Did they switch jerseys in an attempt to balance out each other's career stats? Are they toying with the rest of the league after taking home back-to-back Art Ross trophies? We have our suspicions and here's proof: Henrik would have never taken this shot! Or was that just during the Stanley Cup Finals? They both are so talented they can switch it up whenever. You don't really hear much about the Sedins these days with Kessel and Lupul being the best one 2 punch out there.